Home / News / City of Dreams train departs September 2018 - get on board! 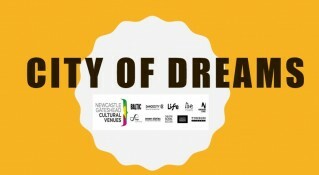 Over the past 6 months, NGCV has been developing plans for City of Dreams, a 10-year mission to engage all children and young people in Newcastle and Gateshead in transformative cultural activities. We are delighted to announce that we have now agreed the City of Dreams strategy, and will launch the programme in September 2018 after the conclusion of The Great Exhibition of The North. The strategy has been formed in conversation with over 200 professionals from the arts, science, education, voluntary and statutory sectors. A group City of Dreams Champions, representing 41 organisations, has been established to further inform our plans. We have also consulted nearly 1000 children and young people through the Big Culture Conversation. This 4-month process engaged diverse communities, organisations, groups and schools across Newcastle and Gateshead, culminating in a landmark event on 21st February. Over 300 young people packed the Great Hall at the Discovery Museum, to give their views on culture on Tyneside. After sharing their opinions, via free-form rap, spoken word, filmmaking, drawing, mapping, and comic book making, young people put their questions to NGCV Chief Executives and elected members. Working with Youth Councils from both sides of the Tyne, the event also hosted elections to the UK Youth Parliament. Kate Edwards, Chair of NGCV said, "The Big Culture Conversation evening got City of Dreams off to a great start. It's essential that children and young people's voices shape it's direction, so it was fantastic to launch this big idea at a gathering of the city's young people." The breadth of these conversations has given NGCV a deeper knowledge of the experience of local children and young people and a clearer understanding of the difference culture can make to their futures. We have been able to recognise the power of creative activity to achieve positive outcomes and identify new ways to maximise the collective impact of Tyneside’s uniquely rich cultural offer. Gathering a myriad of great ideas over the last few months, we have been able to create an exciting 10-year City of Dreams strategy, which can make a significant contribution to Newcastle and Gateshead becoming known as the best place to be young. From September 2018 we will focus on three key themes: taking part, children and young people's voice and resilience. "I take part in creative and cultural activity"
"I have opportunities to share my voice and shape the culture of our city"
"I am more confident and resilient"
Our strategy builds on the strengths of existing programmes in cultural venues. In a single year, NGCV engages under-19s in learning activities over 610000 times. We reach 71% of all schools on Tyneside, and provide nearly 2 million opportunities for someone under 25 to make, see or do something with our venues. 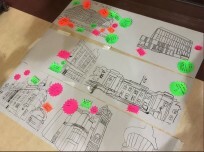 Over the coming months we will be finalising details of the City of Dreams action plan, with an emphasis on the things children and young people have told us they want, including: an increase in making activities; employment and progression pathways; and chances to tell their story and influence civic decisions. Keep an eye on our website for updates about our exciting plans.